Wed., Nov. 16, 2016, 2:56 p.m.
Traders assign about a 94 percent probability, the highest level this year, to a Fed boost at its final meeting for the year on Dec. 13-14, futures contracts indicate. Trump’s spending plans, and Republican control of Congress, are causing the market to revise higher its outlook for the pace of Fed rate increases. “It’s hard not to think this is incredibly reflationary for the global economy,” said Mark Nash, the head of global bonds in London at Old Mutual Global Investors, which oversees about $37 billion. “We believe there should be more hikes priced in and bond yields should rise,” he said Tuesday in an interview on Bloomberg Television. Treasury 10-year note yields rose seven basis points, or 0.07 percentage point, at 2.29 percent as of 7:01 a.m. in New York, according to Bloomberg Bond Trader data. The 2 percent security due in November 2026 dropped 19/32, or $5.94 per $1,000 face amount, to 97 15/32. The yield climbed to 2.3 percent Monday, the highest this year. The next target is 2.5 percent, Nash said. The odds of a Fed move by December have risen from 68 percent at the start of November as inflation expectations surged. St. Louis Fed President James Bullard said there’s a chance the U.S. economy could get a medium-term boost if Trump increases infrastructure spending and tax reforms, though it’s too soon to say how the economy may be affected by the election. A “single policy-rate increase, possibly in December, may be sufficient to move monetary policy to a neutral setting,” he said, according to slides released by his office for a speech in London Wednesday. Trump’s election helped drive a bond-market rout that has pushed Bank of America Corp.’s Global Broad Market Index down 1.5 percent in November, heading for the biggest monthly decline since May 2013. A gauge of expectations for U.S. consumer prices this week climbed to the highest level since April 2015. The difference between yields on 10-year notes and similar-maturity Treasury Inflation Protected Securities climbed to 1.97 percentage points on Monday, the highest this year. An inflation gauge monitored by the Fed, the price index for personal consumption expenditures, rose to an annual rate of 1.2 percent in September. The central bank’s target is 2 percent. Prices for goods imported into the U.S. fell in October from a year before, government data showed Tuesday. The producer price index increased 1.2 percent from 12 months earlier, which would be the fastest pace in almost two years, based on a Bloomberg survey of economists before the report Wednesday. 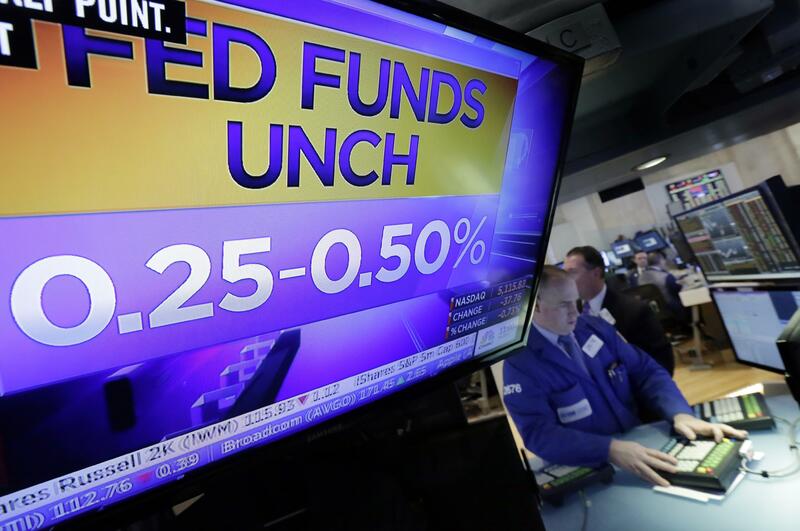 Traders are waiting for Fed Chair Janet Yellen’s testimony to the Joint Economic Committee of Congress on Thursday, where she may discuss her outlook for the U.S. economy and monetary policy. “The inflation story is still in play,” with a rally in oil prices on hopes that OPEC members are discussing a cut in output also driving inflation expectations, said Birgit Figge, a fixed-income strategist at DZ Bank in Frankfurt. “The market is expecting an interest-rate hike in December, and there is no fundamental reason for the Fed” to disappoint, she said. Published: Nov. 16, 2016, 2:56 p.m.